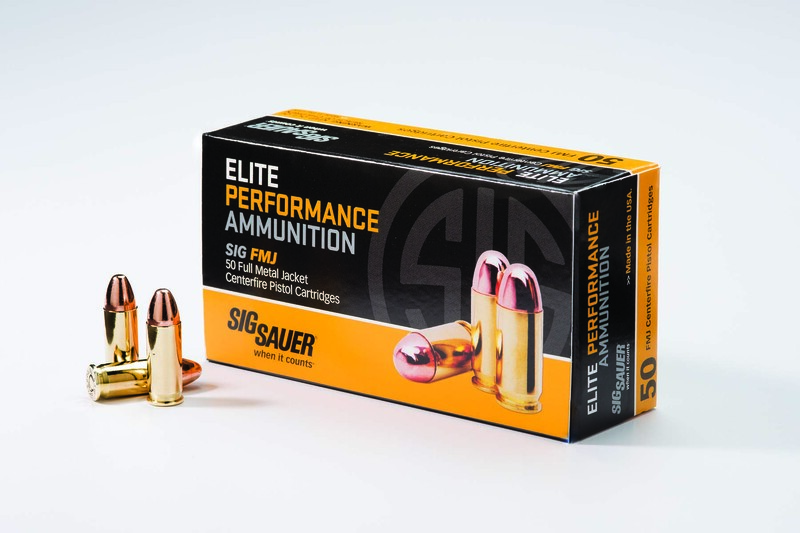 Newington, NH (October 7, 2015) – SIG SAUER, Inc., designer and manufacturer of the world’s most reliable firearms, silencers, optics, ammunition, airguns, and accessories is pleased to introduce 125gr .38 Super +P Elite Performance Ammunition in V-Crown™ jacketed hollow point (JHP) and SIG FMJ full metal jacket loads. At 125 gr and 1250 fps, isn’t this actually “.38 Super -P”? Many other ordinary .38Sup loads beat it for fps & ME. .38 Super +P, of course, used to be called just “.38 Super”, and has always been essentially “.38 ACP+P”. It’s unfortunate that SAAMI, I presume for safety reasons, decided to change the designation of standard .38 Super to .38 Super+P, because now we’ll never really get a +P .38 Super, and it would be an interesting alternative round for handgun frames sized for the OAL of.45ACP. It’s not clear to me that the +P designation actually did that much for preventing the under-informed from using .38 Super in their .38ACP and 9mmLargo handguns. It mostly just screwed up further development of the round. That’s kind of fascinating because I’ve loved .38 super for years and I love the ergonomics of SIGs (although IMO the accuracy has suffered over the past several years) but it’s really hard to find a SIG in .38 super. Right now there is precisely one (1) SIG in .38 super on gunbroker.com and the price is over $2k because it is a German version and appears relatively old. So, I am guessing that either SIG’s new Legion line will have something in .38 super (although that is not in the recent announcement) or they’re going to be announcing something even newer soon. Does Sig make any current .38 super models? If not…I’m guessing the question is…will they?